Home General Is oldtime out of tune? Is oldtime out of tune? I remember some years back looking for a version of Arkansas Traveler to pick up. Listening through some source recordings I found one with Lester and Linda McCumbers. The A part is wonderful: great groove, nice rhythmic accents, and Lester plays it crooked, adding two beats to the end of each A section. I was immediately enamored. Then came the B part. I can still remember the quick succession of impressions. The first was, “whoa, that’s really out of tune.” And then, immediately thereafter, “But that’s actually really cool!” And then as I listened to the whole tune I recognized that he played it the same way each time. Not only was it cool, but it was intentional – or so I assumed. But I wasn’t sure. After listening to Lester’s Arkansas Traveler so closely for a while I wanted to know. Was it intentional? Is he just playing out of tune? Is it his technique that leads him to play that way? Or is that the way he likes it too? Discussions repeatedly arise about the perception that oldtime music can sound out of tune, especially for listeners who are new to the music. What’s going on here? Is oldtime just more lax about intonation than other musics? Or are we missing something in these discussions? I think we can approach this set of questions by looking at how oldtime is fundamentally different from the dominant musical forms most of us grew up listening to and playing, and how that is reflected and embodied in the attitude towards intonation. 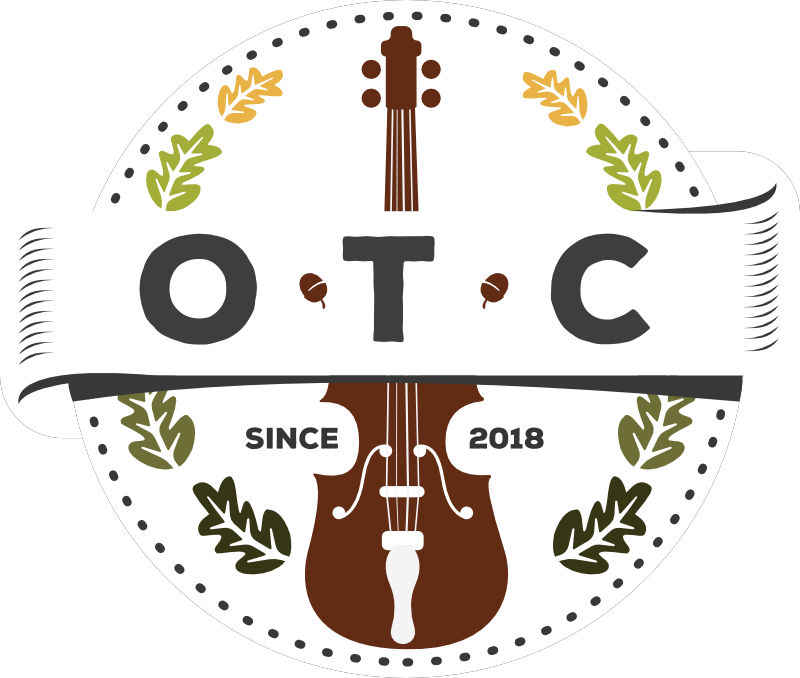 Oldtime is not just a different genre, I want to claim, to be placed on a list with bluegrass, rock, or classical music. It is – in most communities, most of the time – an altogether different mode of musicking, to use Christopher Small‘s celebrated term highlighting music as an activity: a verb, not a noun. It’s not just a different music; it’s a different way of making music. Different in a way that bears on intonation as well as other aspects of the practice. The ethnomusicologist Thomas Turino’s last book – before retiring to dedicate his time to playing oldtime music – focused on the difference between ‘presentational’ and ‘participatory’ musics. Having studied the world’s musical cultures for his entire adult life, with in-depth experiences in Zimbabwe and Peru, Turino saw that there are fundamentally different categories of human music making: participatory and presentational musics. Of course, even strictly presentational performances have defined roles both for the artists and audience. The audience at a performance of Western European art music (e.g. classical music) is responsible for dressing appropriately, showing up on time, sitting quietly, and knowing when to clap. But this is still a fundamentally different kind of participation. I find this distinction between presentational and participatory musical practices helpful because I think it can explain part of how we hear oldtime music generally and the approach to intonation more specifically. A great many of us grew up exposed to more recorded music than live music: radio, TV, casettes, LPs, and then later CDs and digital files. Even if we had a good portion of live music in our lives, these media were dominant. This is significant because recorded music is almost all presentational music: music recorded as a sound object to be passively consumed and appreciated. Recorded music is what formed our dominant understanding and interaction with music from a young age, and thus became the dominant framework through which we hear others musics too, including oldtime. This is a mistake, or a misunderstanding at best. Oldtime music – again, for most people, most of the time – is a firmly participatory music. Whether played at a dance or a party, at a festival or a jam session, oldtime performance contexts value participation above all. Numerous aspects of the structure and habits of oldtime, both musically and socially, are designed to bring people into the fold, get them dancing or playing or clapping or just being an active part of the party. Small, affordable, and durable instruments make picking up an instrument easy for most. Formulaic, short musical structures of the tunes themselves allow newcomers to pick them up quickly. Local canons of “core tunes” means new players know what tunes to learn first. The limitation to a small set of keys (G, A, D, C), scales (major and modal) and few harmonic choices (I, IV, V) mean that the range of options for “educated guessing” is highly reduced. Informal settings at home, at parties, community centers, outdoors and the requisite informal clothing expectations welcome people from a broad variety of socio-economic backgrounds. The accepted dense heterophony of several instruments playing each part allows the sound of more experienced players to effectively “cloak” those with less experience. The large variety of roles (fiddle, banjo, guitar, bass, dancer, singer, etc.) give people a range of entry points. The generally laid back, loosely scheduled, and welcoming attitude of most oldtime gatherings also contribute to supporting participation. The list could easily continue, but the point is clear. Every one of these aspects of oldtime, both as a musical sound and as a social practice, encourages participation. And in each one oldtime differs, if not outright contrasts, with the presentational musics most of us grew up hearing and seeing. The musical and social values of presentational music became the default and therefore, when we apply them to oldtime, we end up confusing apples and oranges. But what does this have to do with intonation? This long excursion into oldtime as a participatory music is helpful because of how it bears on the values of intonation as well. It allows us to return to our original question: Is oldtime out-of-tune? Participatory musics generally, and oldtime specifically, favor a dense musical texture over a transparent one. In a transparent musical texture, each individual musical part can be heard clearly and distinctly, whereas in dense musical textures they cannot. Voices and parts blend together into an interwoven, sonic mass. This density can be produced in several ways. Multiple instruments playing one role, but never playing precisely the same part is one. Subtle intentional or accidental syncopation and personal rhythmic variety is another. But a very important one is the use of “wide tuning”. And here we get to the heart of the matter. 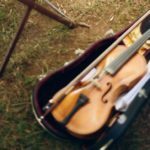 So, from the standpoint of a classically trained violinist, yes, oldtime is often out-of-tune. But that is the perception of intonation made from a presentational music, with its corresponding preference for transparent musical texture and narrower tuning. From the standpoint of oldtime as a participatory music, no. It’s just the way we like it. The reasons for the valuing of wide tuning and dense texture in participatory musics are less clear. Turino offers two speculations. One is that wider tuning results in a thicker sound with a wider variety of overtones. Think of a piano, for instance. The keys on the top two-thirds of a grand piano don’t hit just a single string tuned to that pitch, but three strings, all tuned very, very slightly differently from one another. A great part a piano tuner’s skill is in their ability to widen the tuning of those multiple strings per key to create a richer, more pleasing tone than if each of the three strings were tuned as closely together as possible. The mandolin works the same way, as do all instruments with multiple string courses or resonator strings. What you can do with one instrument, you can do with several. The fatter, richer sound of wide tuning seems better suited to musical practices in which entrainment, trance, or “getting into the groove” are the goal. They seem to bring the body into the music more, while stimulating the analytical parts of awareness less strongly. This could be for some neurological or psycho-acoustical reasons, but it could also simply be a matter of where focus is drawn within a musical practice. There are very few musics that pay equally high attention to every aspect of musical sound. Melody, harmony, rhythm, groove, intonation, timbre, structure, improvisation, etc. There’s a lot one could attend to. For the most part, however, musics tend to settle on a particular subset they value most highly. Think of Beethoven’s Fifth for example. In terms of structure, texture, harmony, and variation it’s an amazing piece of music. But rhythmically – duh duh duh DUH, duh duh duh DUH – it’s not exactly complex. That’s because classical music of that time didn’t value rhythmic complexity or groove as highly as other aspects of the sound. Much rock music, in contrast, spends an inordinate amount of attention on the fineries of sonic timbre – the differences between a Strat or a Les Paul or a Telecaster, between a thousand different amps and pedals and microphones and micing techniques and so on – while putting less emphasis on melodic or harmonic complexity. So, it could simply be that participatory musics such as oldtime, in which the emphasis is on the groove, then have less bandwidth left to pay close attention to subtleties of intonation. In other words, wide tuning is a preferred musical value because it works better in the context of participation. But there is also a likely practical reason why wide tuning is common in participatory musics. One of the distinguishing characteristics of participatory music is its openness to musicians with highly varying skill levels. I can’t take my two years of jazz drumming and just go hang with Julian Lage, nor would it sound good to assemble an orchestra of players that have hugely different levels of accomplishment. But in oldtime, no problem. It’s possible, therefore, that the preference for wide tuning comes from its ability to mask the variety of skill levels in a performance. In other words, by accepting and valuing wide tuning, we can better support one of the highest priorities of oldtime: participation. Christopher Small, Musicking: The Meanings of Performing and Listening. 1998. Wesleyan University Press. Thomas Turino, Music as Social Life: The Politics of Participation. 2008. University of Chicago Press. Ben Smith is the founder and editor of Oldtime Central. 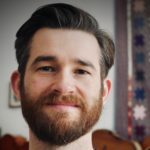 As an ethnomusicologist, applied anthropologist, luthier, and oldtime musician, he is particularly interested in nurturing the oldtime community worldwide. Excellent article! The “out of tuneness” of fiddlers like Lester McCumbers and Edden Hammons seems to me like a deliberate choice of microtonal notes. I’ve often struggled with trying to figure out if that was a C natural or a C sharp on many tunes only to realize it’s a note in between the two which we accustomed to Western music don’t have a name for. But oh man, the emotional shivers these notes provide! One of the best articles on this subject! I’ve often said, ‘Hey, even Tommy Jarrell had trouble with his intonation.’ And, ‘Perfection is over-rated.’ Particular in jamming. New folks coming into jamming are terrified to make ‘mistakes’. Old folks, our job is to help them feel comfortable. Re: the participatory and presentational comparisons (activities around making the music), I like to look a little deeper into the brain. Reading/memorizing uses the left side of the brain, the language functions. Players talk about letters and numbers. Jamming uses the right side of the brain which is more spatial, less verbal. Listen to how many people describe a tune… ‘It goes up, then when you come around again, it goes down’, for example. The fine part and the coarse part, another non-number/letter description example. Performers are like actors on a stage repeating script that they’ve learned through repetition. Jammers are like speakers who have a general idea of what they’ll say, but make much of it up spontaneously, through trial and error, until they come to comfortable patterns. There’s a difference between a purposeful in-between notes, as described in Jim Morris’ comment, and tuning wide on purpose in order to welcome participation. In-between notes are also common in blues. However, the idea that old-time players purposely play with a wider tuning in order to make the music more welcome to participants, runs afoul of the example in the beginning of the article. If Lester McCumbers is playing in tune on the A part, and out-of-tune on the B, that would imply that he was welcoming people to play along only on the B part. I don’t think the concept can be stretched that easily. It is quite possible that he just likes the sound of the B part better when it’s a little discordant to our ears. It’s also not impossible that he has some trouble getting it up to pitch. But it isn’t likely that in this case he is employing a wide-tuning strategy on just one part of the tune. It is also worthwhile to mention that the tuning standard has changed since many of the old recordings were made. The tuning standard at that time was 432 hz instead of the 440 hz we use now. We know many players and bands that purposely use a different standard than the 440 hz. and the reasons for doing so vary. There is much written about the tuning standard and what brought about it’s change. It’s pretty important to be specific about “at that time” as the reference standards for A changed a lot over time and for a long while people could choose from a variety of standards. 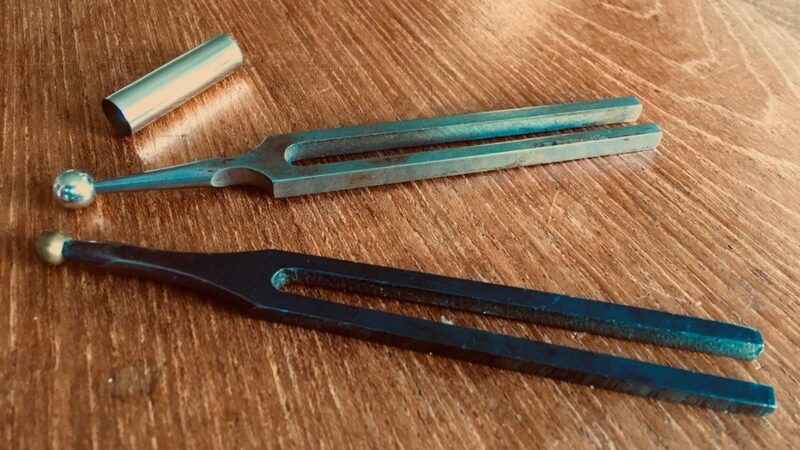 That said, I imagine most folk musicians either (1) had whatever tuning fork was available to them, (2) tuned to one another, (4) used a harmonica as they were cheap and common, or (5) just tuned up relative to whatever pegs worked best. I find it hard to imagine many musicians saying, “Hold on, let me get my 432 fork out.” But I’m happy to be proven wrong! I’m sure there was and is a lot of tune by ear. I doubt many musicians carried a tuning fork but if they we’re in the presence of a fiddle, some fiddles did come equipped with an endpin tuning whistle. Those that still exist are clearly tuned on the 432 standard. “Out of tune-ness” happens in vocal music as well. Singers who come from strong unaccompanied solo singing traditions will often hit notes that aren’t in the “proper” scale–I’m thinking of Hazel Dickens, Nimrod Workman, Addie Graham. Like Lester McCumbers, these folks will hit the “wrong” note consistently every verse of a long song. I think it amounts to a different sense of what pitch is “right.” I haven’t heard this in traditional Sacred Harp singings, though–maybe because the harmony they’re creating demands pitches that ring together. I’m interested in the idea of “old time tuning” as compared to “baroque tuning,” that is to say, are there specific intervals that are consistently augmented or diminished when played in certain contexts of keys? I suppose you could refer to this as “expressive tuning”. In baroque contexts the tuning was very much specific to creating ideal timbres to suit a piece, depending on keys. For example, G or C are very consonent, where a key like Db or G#m would sound very raunchy, or even out of tune to some listeners accustomed to our current system of even temperament. 1) “In-Tune” is a relative concept. I don’t want to go into a long discussion of tuning systems, but suffice it to say the same system used for pianos & digital tuners is not what fiddlers – or concert violinists, for that matter – use. Most folk musics use some kind of tempered tuning, regardless of the base pitch. Generally speaking, that makes for thirds & sevenths somewhere between major and minor. Often the fourths work out to be long, too That is true across every folk fiddling tradition I know. Not that they all use the same scales—some favor more radical departures from equal temperament than others. And it seems to be more or less consistent within individual traditions. I once attended a talk by a Norwegian musicologist about the langeleik–Norwegian fretted dulcimers. All were fretted for diatonic scale but the placement of the frets, and therefore the relative pitches, differed greatly from regions to region. Instruments from the same region had the same scale. And it is the same across many different folk instruments, such as bagpipes. Those gnarly notes are supposed to make your hair stand on end. Every folk fiddler I know, regardless of tradition, tends to play notes that fall in between the equal tempered pitches. Again, it’s usually the third and seventh scale degrees, with sometimes the raised fourth/lowered fifth. Or the blue notes, if you prefer. They do not all change the tones by the same amount, even during the course of a single tune. 2) The idea of deliberate out of tune-ness to create a thick, beating aura around each note is not what I’ve experienced. And I’ve been playing & studying old time fiddle music for over 45 years. (Yipes!) Your mileage may vary. I’ve sat knee to knee with great old time fiddlers many, many times, and they’ve been serious about trying to get everyone to play each pitch as close as possible. Not that the pitches in question would stand up to equal temperament. (See note 1). 3) Regarding the fiddler in the video: If you look carefully at his left hand fingers, they aren’t very flexible. Perhaps he just can’t get them placed properly? Notice that any note he plays with his ring finger is funky, even on the A part. I’ve developed Duyputren’s contraction on my left hand, which makes my little finger considerably less flexible than it used to be. So any note I play with that finger on the fiddle will be flat unless I shift my entire hand. And it also pulls notes played by my ring finger slightly sharp if I’m not careful. Could that be what’s going on? I really don’t know, I’d have to hear more from Mr McCumbers. 4) All that being said, maybe that is the way he hears the tune. The most “out of tune” note in the 2nd part is the fourth—which, as I’ve said, works out long in lots of folk music traditions. Besides, I really like it. BTW: “Old Joe Bone” by Carter Brothers and Son is an extreme example. The A part is played out of the Lydian mode–that’s a major scale with a raised fourth. Don’t hear that much any more. 5) And then there’s Joseph Spence…. And that’s why I love folk music! Thanks for letting me share my thoughts. I reserve the right to be completely out to lunch here. One reason that old-time fiddling seems to sound out-of-tune is that it is traditionally played without vibrato. I have played old-time southern fiddle for over 70 years…but I also played in three symphony orchestras in my youth. Take my word for it: the incessant heavy vibrato used by almost all classical violinists is a HUGE cover-up for poor intonation. If you can talk an academic violinist into playing a tune with no vibrato, you will hear the wandering intonation immediately!